Ryerson Library congratulates eCampusOntario on its launch today of the Open Library of Open Educational Resources for post-secondary institutions in Ontario. This Library consists of a wide range of Open Educational Resources (resources that are licensed in such a way that they are free for students to download and for faculty members to adapt for use in their courses). Ryerson University (Computing and Communication Services, Office of eLearning, Learning and Teaching Office, Digital Education Strategies at the Chang School and the Ryerson Library ) has been involved in all stages of this project – from building the prototype to operationalizing the resulting library. Several Ryerson faculty members have or will be contributing textbooks to this library. 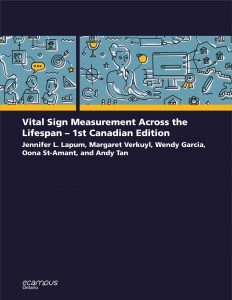 This nursing textbook, Vital Sign Measurement Across the Lifespan, created by Dr. Jennifer Lapum and her team is available at no charge to all students in NSE 13. Other Ryerson-authored books will be added in the near future. eCampusOntario will officially launch the Open Library during a webinar today. If you would like to attend the webinar, drop by LIB386C at noon. 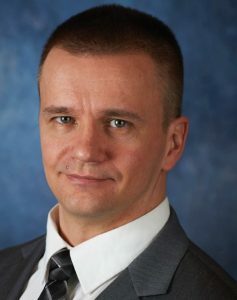 On Monday, March 5, Dr. Stuart Inglis, Department of Pathology and Anatomical Sciences, University of Buffalo, will kickoff Open Education Week with a keynote address emphasizing the importance of open resources as a starting point for pedagogies that support engaged, inclusive, and technologically enhanced learning, with examples from a STEM classroom. The session will include a hands-on workshop in which Dr. Inglis will demonstrate how to use open source software to generate content for use in teaching. This event is presented by the Learning & Teaching Office, the Office of eLearning, the Ryerson Library, and the Chang School. Funding provided by eCampusOntario and additional sponsorship provided by the Daphne Cockwell School of Nursing, the Faculty of Engineering and Architectural Science, and the Faculty of Science. What is Open Education Week? Open Education Week is a celebration of the global Open Education Movement. This week is dedicated to raising awareness about the movement and its impact on teaching and learning worldwide. us for Open Education Week, a series of events beginning with our Kickoff and Keynote on March 4, 2019! If you can’t attend in person eCampusOntario is hosting a OE Week webinar series that runs throughout the week, 12pm-1pm. Three of these webinars feature Ryerson projects or OE leaders including Ryerson University Library Chief Librarian, Carol Shepstone. 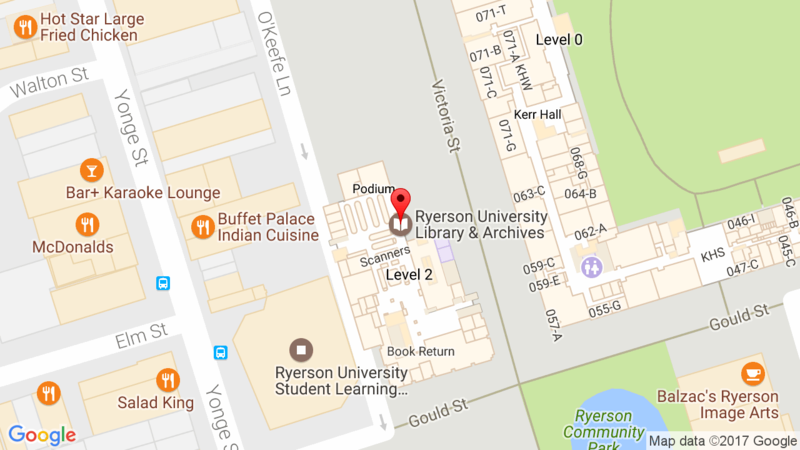 Ryerson University Library is also offering two events for students during the week. Dr. Stuart Inglis, award-winning instructor in the Department of Pathology and Anatomical Sciences at the University of Buffalo, will emphasize the importance of open resources as a starting point for pedagogies that support engaged, inclusive, and technologically enhanced learning, with examples from a STEM classroom. The session will include a hands-on workshop in which Dr. Inglis will demonstrate how to use open source software to generate content for use in your teaching. We want to hear from you about buying and using textbooks. Drop by and share your experience. We’ll have pizza and refreshments to make sure your belly is full and your mind open. We’ll have pizza and refreshments to make sure your belly is full and your mind open. This webinar, brought to you by Chang School, will focus on content curation approach to open and online education. Watch James explain his curatorial approach to designing courses based on freely accessible materials. James Skidmore is a faculty member at the University of Waterloo and was a eCampusOntario Open Education Fellows. Open Textbooks: Open Minds will showcase the findings of a recent University of Guelph study exploring the impact of cost and access to course materials on student success. In addition, University of Toronto instructors, librarians, staff and graduate students who have had first hand experience in the creation and adaptation of open textbooks will share their strategies and insights. Wendy Freeman, Ryerson’s Director of the Office of E-Learning, and the Learning and Teaching office will also be presenting. Register to attend in person. This workshop will highlight some of the new interactive features that have been released recently in Pressbooks. We will look at H5P, a tool that lets you create interactive content (quizzes, fill-in-the-blanks, matching games, etc.) that you can include in your books. We will also explore Hypothes.is, a web annotation tool that can be used with your books and other web content. Finally we will test the new glossary feature in Pressbooks. This Chang School workshop will give an overview of how instructors can use open educational resources in their teaching. Through guided support by a team of librarians and instructional designers, participants will locate relevant resources and draft an action plan for OER use in their respective courses. Hypothesis is web-based software that lets you annotate the web anywhere with anyone. You and your students can use it to hold discussions, collaboratively annotate course readings, organize your research and take personal notes. Students can use it to collaboratively annotate course readings. We will give an introduction to the software, show a few examples of educators using Hypothesis and will provide time to get experience using Hypothesis with hands-on exercises. This webinar, brought to you by Chang School, will discuss the characteristics of an Open Educator. Through a practical activity, participants will examine their own level of openness and discuss benefits of being an educator. The facilitator will share strategies and resources to support you in honing your skills as an open educator.Maureen Glynn is an eCampus OER fellow and Senior eLearning Designer at Trent University. Moderated by eCampusOntario’s Lena Patterson, this session will feature leaders from two institutions that have adopted open education as part of a larger strategy. Join this session to learn about what is involved in exploring an OE strategy from various leadership perspectives and how open education initiatives might dovetail with institutional mission and vision going forward. Students! Drop by our OE Week Table and find out more about Open Textbooks. 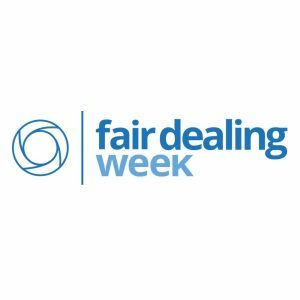 What is Fair Dealing and Why is it Important? Fair dealing defines important user rights allowed by Canadian laws. These user rights give Canadians the ability to use short excerpts from copyright protected works for private study, research, criticism, review, education, parody and satire, without having to seek permission from the copyright owner. Much of what students and educators do on a daily basis would be very challenging without this user right. Without fair dealing you would not be able use an image in an assignment, share an article with your group project team, or photocopy a chapter from a library book to read at home. Fair dealing allows for a freer flow of information to happen in educational settings. It promotes learning and scholarship. Celebrate Fair Dealing – it is a user’s right that Canadians should use, not lose! Have a look at Student Life without Fair Dealing to learn how important fair dealing is in an educational environment. Do you use images you find online for assignments and projects? Do you worry about copyright issues and want to learn more? This one-hour workshop looks at ways you can use images using copyright exceptions like fair dealing. We will also introduce how to search for open access (creative commons) images that you can use for assignments and beyond your student work. How do students know what they can and cannot pull from the Internet to use in their online assignments? You show them! With a focus on using images, where to get Creative Commons material, the tensions around fair dealing, and how to avoid cultural appropriation, this workshop teaches you how to model best copyright practices and how to teach copyright to your students both online and in the classroom. Understand how to model acknowledgement for others’ work by doing your own online work and building assignments that consider good copyright behaviour as it overlaps with academic integrity. 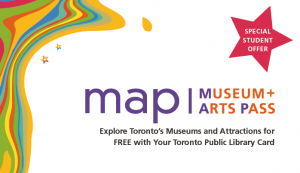 Ryerson University Library is pleased to announce the participation in the re-launching of the 2019 MAP (Museum and Arts Pass) Student Program in collaboration with Toronto Public Library that will enable Ryerson students to explore some of Toronto’s top cultural venues for FREE. The program will run until July 2019. To participate in this program, Ryerson students 18 years of age and over must obtain a MAP booklet from the Circulation Desk on the 2nd floor of the library. Students will need to present a valid student One Card to receive a MAP booklet. Upon obtaining a MAP booklet, students must then visit one of the five participating TPL branches (City Hall, Lillian H. Smith, Parliament Street, Scarborough Civic Centre and Toronto Reference Library) to “check out” a MAP pass. In order to check out the pass, students need to have a valid Toronto Public Library card and present a valid Student ID along with the MAP booklet voucher. TPL Library cards are free to anyone living, studying or working in the City of Toronto. The pass is good for free admission for two to any one of the participating MAP venues: the Aga Khan Museum, Art Gallery of Ontario, Bata Shoe Museum, Black Creek Pioneer Village, Gardiner Museum, Museum of Contemporary Art, Royal Ontario Museum, Textile Museum of Canada, and Toronto History Museums. Ryerson Library is offering RU Debt Free?, a free Financial Literacy Workshop series over the course of the Winter 2019 semester, open to all Ryerson students. Drop by and learn about budgeting, banking, saving, credit basics, and financial life during and after school. Registration is now open for all undergraduate, graduate, and continuing education students. Sessions which will be offered afternoons (12pm) and evenings (6pm) in SLC 508 starting on Feb 26, 2019. You can view the full schedule now. Learn new skills and meet crafty people. 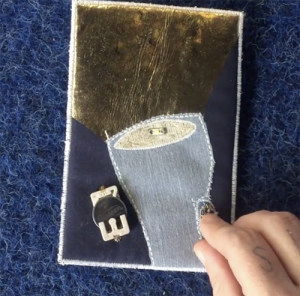 The Library is hosting a FREE e-textiles workshop where you will create a cloth postcard with a stitched-in LED light, The workshop will introduce basic sewing and circuit design techniques and explore some fundamental ideas in electronics. Workshops will take place on Tuesday, February 12th and 26th and March 5th, from 10:30 am – 12 p.m. in the Library’s Digital Media Experience Lab (DME), located on the 3rd floor of the Student Learning Centre. Materials will be supplied by the DME. Are you passionate about social equity issues and interested in learning more about digital technology? The Library’s Isaac Olowolafe Jr. Digital Media Experience (DME) Lab is offering the DME Creators Grant to undergraduate students who want to create innovative, sustainable, and interactive digital experiences that address social equity issues. The five successful applicants will receive grants of up to $3000, which will be distributed upon project approval and the successful completion of performance milestones. Each grant recipient will be paired with a mentor to help them articulate their project purpose/thesis, advise on project management, ensure that recipients are meeting their milestones, and work with the DME to document and evaluate project progress. To learn more and submit an application, visit the DME website. Applications are due on March 8, 2019. If you have any questions, please email us at dme@ryerson.ca or drop by the DME Lab on the 3rd floor of the Student Learning Centre (SLC) from 10 am to 8 pm, Monday to Friday. In this lecture, Dr. Simon J. Young will discuss the potential of Virtual Reality (VR) as an educational and research tool for education. VR provides us with a powerful tool to present and visualize the results of these investigations in a 360 stereoscopic immersive digital environment. This talk will explore some particular implications of these possibilities, and will feature spectacular digital reconstructions of the ancient world. There will be a chance to experience the VR at the end of the talk. Refreshments provided. Please RSVP by January 10, 2019. For more information, view the digital poster for this event. We hope everyone is having a successful exam period – the Fall term is almost complete! Please clear outstanding fines and return overdue items as soon as possible to ensure access to grades over the holiday break. Head to the renewals page to see if you have overdue items or fines greater than $10. Students with fines greater than $10 will not be able to view their grades until their accounts are cleared. All fines can be paid to the Library at the Circulation Desk, either by cash, debit, VISA, MasterCard, American Express or with your Ryerson OneCard. The Library also accepts credit card payment by phone – please call 416-979-2149. We do not accept personal cheques. If you have questions or concerns about fines or overdue items, please contact the Library Circulation Desk by email at access@ryerson.ca or by phone at 416-979-5055. Please note that the Library will operate on reduced hours starting Saturday, December 15th. Check the Library website for all of our hours over the next two weeks.The university and the Library will be closed from Sat Dec 22, 2018 – Sun January 6, 2019. From all of us here at RULA, thank you and we wish you a safe and happy winter break!